The spacecraft is set for launch no earlier than Saturday, Feb. 18, and should reach the space station Monday, Feb. 20. 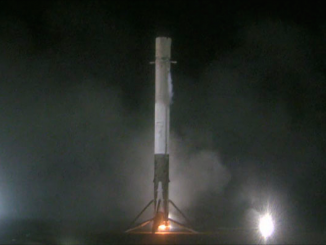 A Falcon 9 rocket will send the Dragon cargo carrier into orbit for the two-day transit to the research outpost. SpaceX has launched nine resupply missions to the space station to date, including one cargo capsule lost in a launch failure. 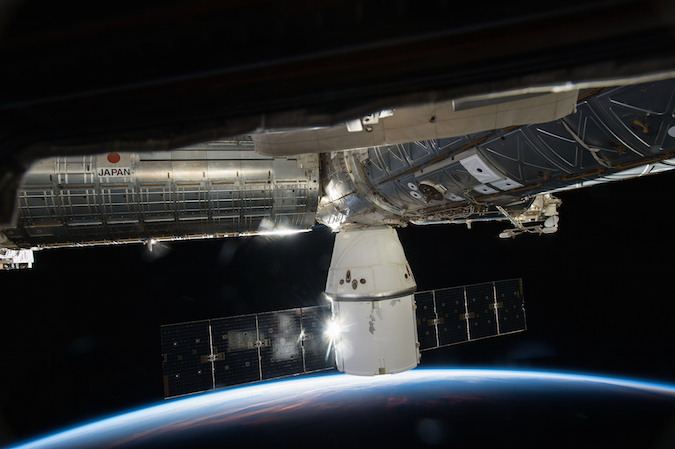 One more Dragon spacecraft flew to the space station in May 2012 on a demonstration mission. In addition to more than 3,000 pounds of cargo inside Dragon’s pressurized cabin, the spacecraft’s external trunk is packed with two experiment packages to be mounted outside the space station by the robotic arm. One of the instruments, NASA’s Stratospheric Aerosol and Gas Experiment 3, will study ozone and aerosol — tiny particles in the atmosphere — from an observing post on one of the space station’s external payload platforms. Another unpressurized payload is sponsored by the U.S. military’s Space Test Program, hosting a suite of 13 experiments for the Defense Department and NASA. 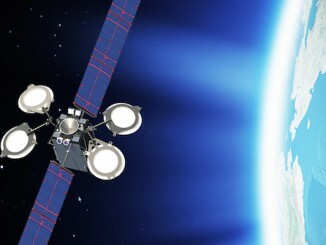 Among STP-H5’s investigations: NASA’s Raven autonomous space navigation demonstration designed to support future satellite servicing missions, NASA’s Lightning Imaging Sensor, NASA’s SpaceCube-Mini miniaturized computer processor, the Air Force’s Spacecraft Structural Health Monitoring payload to capture how fasteners, glue and mechanical parts respond to the harsh environment of space, the Air Force’s Radiation Hardened Electronic Memory Experiment, and two Naval Research Laboratory payloads intended to study the structure, composition and density of the upper atmosphere and ionosphere. NASA has provided a breakdown of the cargo manifest listed below.